Abandoned Mary Kathleen open pit, Queensland, Australia, taken in August 2009. The 1986 Australian film Crocodile Dundee brought global fame to its leading man Paul Hogan, but the real star of the show was the vast, ancient landscape of the World Heritage–listed Kakadu National Park. So what then for the mine site? It’s a question being asked with increasing urgency around Australia as the mining boom that has powered the Australian economy for nearly 15 years wanes. There are as many as 60,000 abandoned mine sites, some in otherwise pristine ecosystems found nowhere else on earth. The next step is revegetation. The most common method is seeding, but this can require vast amounts of seed, sometimes millions of dollars worth. It’s also reliant on rain falling when and where it’s needed. In a country regularly plagued with extreme droughts — such as the one currently affecting large swaths of the eastern states — that’s far from a safe bet. An alternative is to use tubestock — young plants grown in pots to the point where they can be transplanted into the ground — but this is labor intensive and expensive. Erskine says what commonly happens in forest rehabilitation is the overstory species — the canopy of the bush — is restored, but the mid- and understory are deficient, often because seed for these species can be harder to collect and therefore harder to purchase. A forest is also more than just trees. There’s the fauna — microorganisms, invertebrates and vertebrate species — that call the bush home. Restoring fauna to a denuded landscape is not simply a case of “if you build it, they will come,” says Alan Andersen, a professorial fellow at the Research Institute for the Environment and Livelihoods at Charles Darwin University in Darwin, Australia. 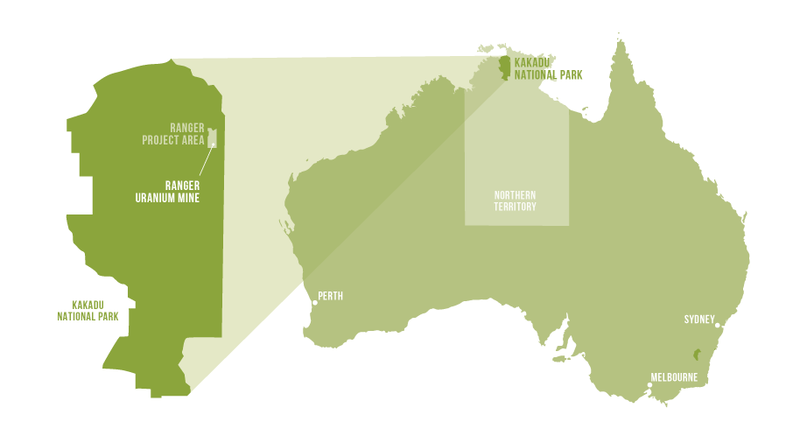 The Ranger mine site sits within Kakadu National Park. “The legislative processes that protect the Australian people and the landscapes when a mining approval is given, appear now to be grossly inadequate to achieve what would be a publicly acceptable end product,” he says. Some mines have done better than others; Erskine points to Alcoa’s bauxite mines in Western Australia as an example. “Alcoa’s been very careful with how they treat their top soil and over time invested quite a bit of money in working out propagation techniques for rare species,” he says. Alcoa monitors plant species on its mined sites, and, the company says, in 2001 achieved a target of 100 percent of species richness in mined areas. Technology advances could give momentum to the move away from coal. The frack industry’s demand for natural resources has pitted neighbor against neighbor in Cooks Valley.